CRUZBER SA is one of the leading manufacturers of roof racks and roof bars in the European market with a complete range of solutions for passenger cars, offroad vehicles and commercial vans. 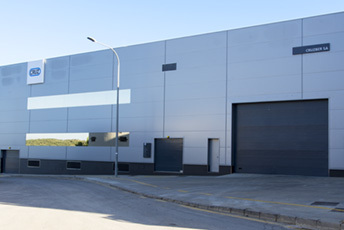 Its headquarters and central warehouses are located in the province of Córdoba (Spain), with a surface area of more than 12.000 m2. The Cruz brand leads the Spanish market and is present in over 30 countries, developing and adapting its products to the specific needs of each market. Quality is our greatest value - TÜV | UNE-EN ISO 9001:2015 Certification. CRUZBER SA is awarded the certification of the Quality Management System based on IISO 9001:2015 for its efficiency in the operating procedures and organization. This certification is awarded to all its business processes, ranging from the development of products, manufacture, marketing and logistics to customer services. Manufacture under strict compliance with the latest directives of the European Union, as well as certifications for specific countries. Since its foundation, quality methods and highly qualified staff constitute CRUZBER SA’s most important, essential values. › R&D: new advanced anticorrosion treatments, based on nanotechnology, guarantee exceeding 1,000 hours in a saline fog chamber. The use of superdurable polymers and paints with non-slip properties offer maximum resistance to harsh weather conditions. Every new product developed is tested under standard DIN 75302:1991. Ongoing adaptation and improvement of production processes to achieve more environmentally aware processes. 1963: Foundation. Mr. Antonio Cruz decides to build his own company based on the production of metallic, the first step to what knowadays is CRUZBER. 1966: New designs for roof racks with the collaboration of aeronautical engineers. 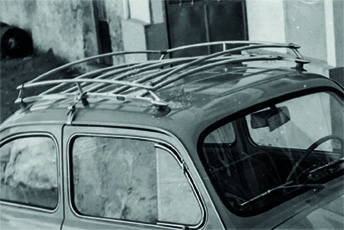 1967: The company starts to produce roof racks in aluminium. 1968: The company starts to produce roof racks in galvanized steel. 1972: From this year, the decision is produce and design roof racks as the main business line. 1973: CRUZBER S.L. as new legal entity. 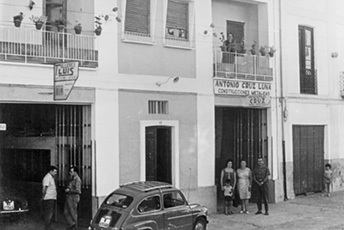 1973: The familiy decides to diversify in a new business line: specific cable trays and other electrician material. 1977: CRUZBER S.A. as new legal entity. 1987: New investments in technology: R&D in powder painting systems. 1989: New design of the company logo. 1991: Launch of Cruz roof mounted bike carrier. 1995: New Cruz roof boxes are distributed, the new Cruzbox. 1995: Launch of Cruz Optima roof bars. 1996: Launch of the first Cruz rear bike carrier. 2000: Certification ISO 9002 by AENOR. 2002: New location of CRUZBER’s facilities with innovative production and warehouse systems. 2002: Cruz family decides to sell cable trays line to Legrand Group. The decision is to concentrate only on roof racks business. 2005: New warehouse. In total, our facilities almost 7000 sqm. 2005: Agreement Cruzber SA – Thule Sweden AB as an exclusive distributor for the automotive segment in Spain. 2006: Export department as a new project. Cruz is registered for all EU countries. 2007: Cruz is registered in Croatia, South Africa, Costa Rica and Morocco. 2008: Launch of Cruz Safari Rack. 2008: Decision to start certification of Cruz products with TÜV Reinhland. 2009: Launch of Cruz Ski carrier. 2009: All passenger cars’ roof bars solutions with TÜV GS certification. 2010: New roof rack design for commercial vehicles: Cruz Serie N+. 2011: New roof rack with aluminium profiles. 2011: New Cruz O-plus roof bars for passenger cars. 2012: Launch of new Cruz straps. 2012: New warehouse, facilities of more than 8000 sqm. 2013: Cruz brand is registered in Russia. 2013: Launch of Serie W roof racks for commercial vans. 2013: Launch of Cruz Stema & Cruz Cyclone – tow bar bike carriers. 2014: Launch of Cruz Airo – aerodynamic roof bars in aluminium. 2014: Agreement Cruz & Amplid, Bavarian manufacturer of snowboards and skis. 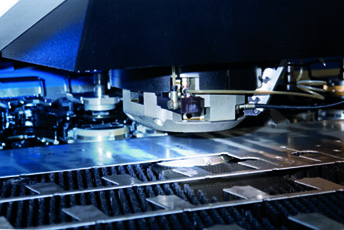 2015: New production processes based in nanotechnology and more environmentally friendly. 2015: Launch of Cruz Foam for wind & surfboards. 2015: Start to certificate Cruz products according City Crash tests – ISO/PAS 11154: 2006. 2015: Cruz Airo R, Cruz Alu-R, Cruz SR+ and Cruz Ski-Rack passed with success the City Crash tests. 2015: Launch of Cruz Keel kayak carrier. 2016: Launch of Cruz Alu Cargo roof bars. 2016: Launch of new range of roof boxes: Cruz Road and Cruz Paddock. 2016: Launch of Cruz Race and Cruz Pivot bike carriers. 2016: Launch of Cruz Airo FIX and Cruz Oplus S-FIX roof bars. 2016: Launch of Cruz Rafter kayak carrier. 2017: Launch of Cruz Evo Rack roof rack. 2017: Launch of Cruz Kit Optiplus FIX. 2017: Launch of Cruz Airo Dark roof bars. 2017: Extension to facilities at CRUZBER headquarters, now with a surface of over 12.000m2. 2017: Business Certification TÜV | ISO 9001: 2015. 2017: Launch of new corporate web site cruzber.com, totally responsive and with more functionalities.